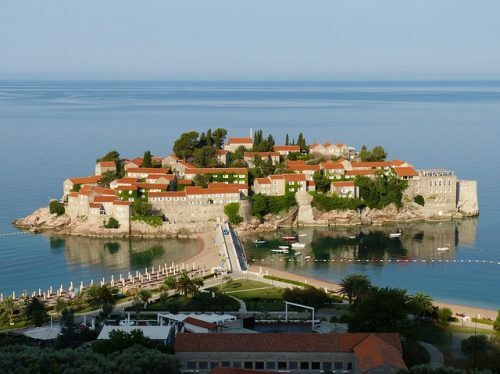 Sveti Stefan, in the municipality of Budva, has become a major destination in luxury travel. Indeed, the Aman Resort hotel got its place on the Gold List of the best hotels in the world, in 2012, in the magazine / guide for luxury travel: Conde Nast Traveller. Journalists and experts of Conde Nast Traveller magazine describe the Aman Resort as one of the best locations in the world. Sveti Stefan is on the list thanks to the amazing views we have on the cypress trees that rise above the roofs of the old houses on the island, the breathtaking views of the sea and the coast of Montenegro, the little paths that lead to places and pools typical of Budva. For 2012, Conde Nest Traveller’s magazine also chooses other hotels according to the service, food, rooms, leisure facilities, ambience and design. If you like luxury, why do not you try the Aman Resort this year? Posted on May 8, 2013 by Allo-Balkans. This entry was posted in Montenegro and tagged budva, luxury, sveti stefan, tourism. Bookmark the permalink. I went there in 1959 it was a wonderfull village then , the old ladies sitting outside their houses crocheting beautiful work , the warmth and happiness , made a lovely holiday AND NOW its a hotel, I hope they moved those people to nice houses and treated them fair. Need to have some pictures of what they have done to the place. Our true ROYAL PRINCESS STAYED THERE , Princess DIANA she was the best and always will be and really of the true royal blood line.